We love a good slobbery kiss from our favorite furry friends, but have you ever wondered why your dog seems to love giving you big smooches? Your pup’s tongue is just one of many ways that they communicate with us. Let’s delve into some reasons that they lick us! You may not think so, but your sweaty, salty skin tastes great to dogs! Don’t worry, though: you don’t smell good enough for them to take a chomp out of your sweaty skin. Once they become familiar with you, they love your scent and you smell like home to them. Their licking is just another display of their love for you! Licking is one of the best ways for your dog to get your attention. Whether you’re sleeping or not giving your pup enough attention, licking you is their way of making you focus on them. Be sure to grab them some food or go and play with them after they give you this not-so-subtle cue that they want your attention! They Got it from Their Mama! Mothers lick their newborn puppies to groom and clean them, so your pup’s licking habit could be purely instinctual. They associate licking with comfort and nurture, so they want to show you the same affection they received from their mothers! When dogs lick people, it usually results in smiles, laughter, and positive feedback from you. This teaches them to positively associate their licking with your happiness! So every time your dog licks you, it could be to elicit a happy reaction from you. How sweet is that? 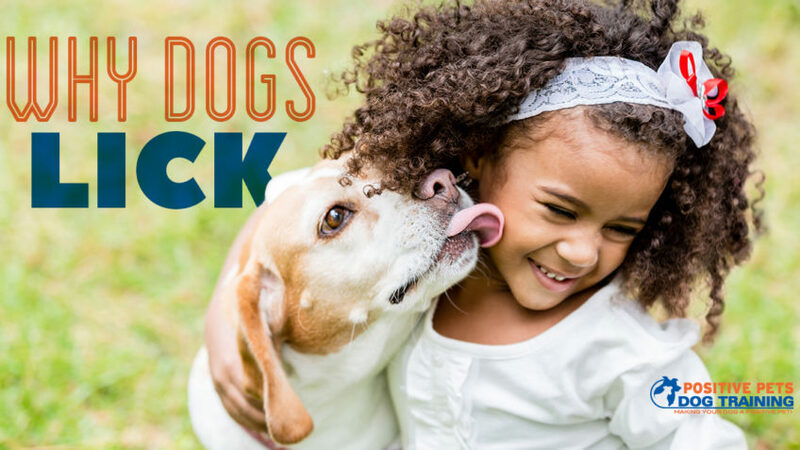 These are just a few reasons that your dog could be licking you. If your dog’s licking seems excessive, always check with your vet to make sure your dog doesn’t have any infections or other problems going on. Otherwise, keep enjoying your dog’s sloppy kisses!